Home World Asia News Reham Khan: Who is Imran Khan’s new wife? Reham Khan: Who is Imran Khan’s new wife? Reham Khan is the new wife of Pakistan’s opposition leader and former cricketer Imran Khan. 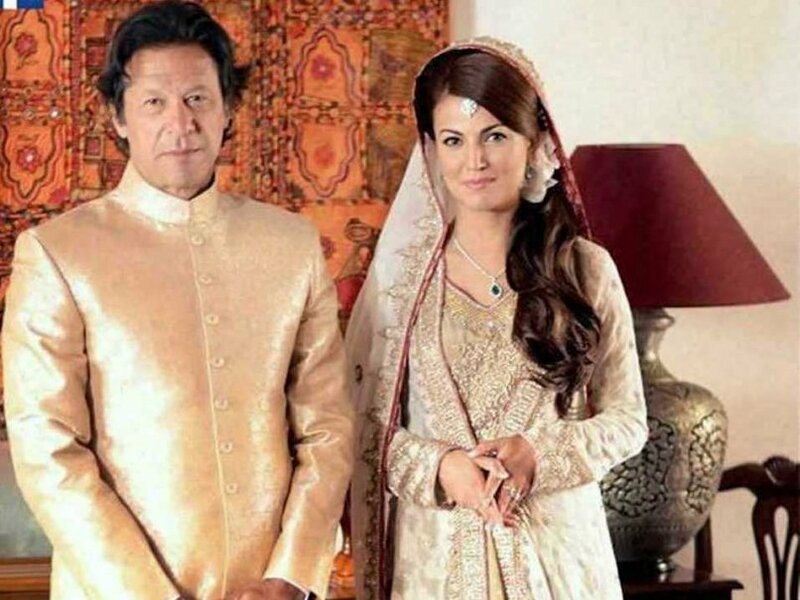 On January 5, 2015, after months of speculation, Imran Khan confirmed marriage with Reham. The British Pakistani journalist, a former BBC weather girl, currently hosts the current affairs talk show In Focus on Dawn News. Reham Nayyar was born Ajdabiya, Libya, on April 3, 1973. Her parents belong to Lughmani Pashtun tribe and originally come from Baffa village in Mansehra. They moved to Libya in late 1960s. She has two sisters and a brother. Reham Khan did her bachelors in education and postgraduate in sociology. She married Ijaz Rehman in 1992, when she was 19. Reham had three children with Ijaz Rehman one son called Sahir, and two daughters Ridha and Inaya Rehman. Sahir studies in the University of Southampton, daughter Ridha is also attended University in UK and daughter Inaya now lives with Reham in Islamabad and goes to Froebels School in Islamabad. Reham Khan and Ijaz Rehman divorced after 16 years of marriage because she fell in love with another cousin of hers called Sohaib Mufti who came to stay with Reham’s family in UK from Abbotabad. Reham flirted with numerous men during the course of her marriage and that is the reason why her husband Ijaz Rehman could not trust her anymore, and they both had alot of fights and arguments over it and Reham later filed for divorce to marry someone else who she was having an affair with. In her divorce settlement she got 100,000 pounds cash, a house in the UK, 2000 pounds monthly payments, child support for each of the 3 children, and even a pension account that she will access when she is 65 yrs old. Property in Pakistan and UK was also divided. Ijaz Rehman has now re-married to another woman called Dr. Samavia Rehman, and has two children with her. Reham Khan was recently in a relationship with a 21 year old British Man in the UK, but he refused to marry her, so Reham left for Pakistan. Reham Khan started her career as weather girl at BBC, she also held the position as a broadcast journalist on BBC South. In 2006, Reham Khan joined Legal TV. In 2007, she began presenting for Sunshine Radio Hereford and Worcester. In 2008, Reham Khan joined BBC as broadcast journalist. In 2013, Reham Khan returned to Pakistan and joined news channel News One. She later joined AAJ TV.